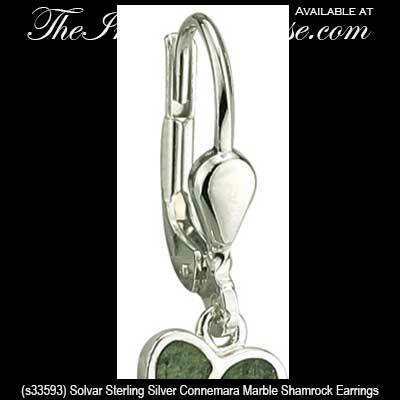 These sterling silver shamrock earrings feature Connemara marble enhanced leaves. 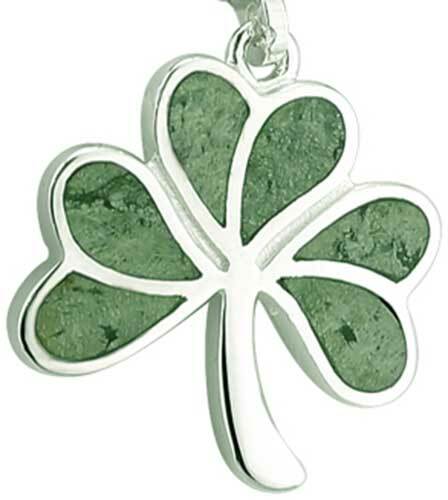 The Connemara marble shamrock earrings are a dangle style with latching Eurowires that measure 1/2" wide x 1 1/8" tall, to the top of the wire. 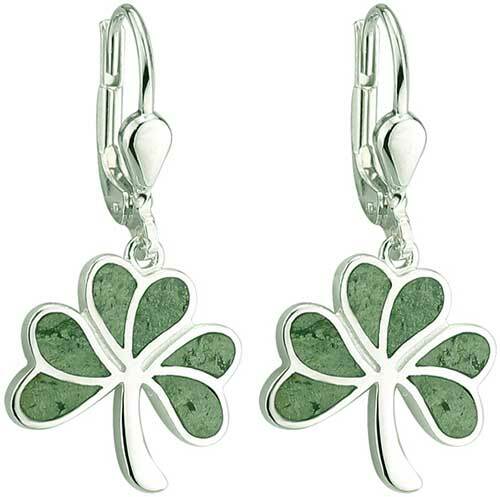 The Irish drop earrings are made by Solvar Jewely in Dublin, Ireland and are gift boxed with shamrock and Connemara marble history cards, complements of The Irish Gift House.